Westbeams Tree Care - Garden Services, Tree Surgeon based in Brockenhurst, Hampshire. Westbeams Tree Care have a team of fully qualified and insured tree surgeons that operate in The New Forest, Hampshire, Dorset and surrounding areas. We provide free full written quotations. All of our work is carried out to the highest standard in accordance of British Standard 3998 and in a safe, controlled manner. From start to finish you will receive the highest standards in service. Help and advice is always on hand to all of our customers. In the event of an Emergency you can Contact us 24/7. We offer a complimentary on site advisory service where we will recommend any works deemed necessary and can organise and undertake planning applications for any protected trees, i.e. trees under Tree Preservation Orders (TPO's) or in Conservation areas. Risk assessments, method statements and copies of our insurance policies can be happily provided on request. 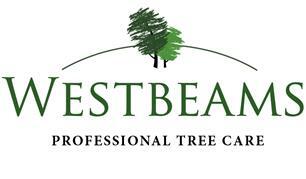 Please call Westbeams Tree Care for free advice, estimates and quotations.